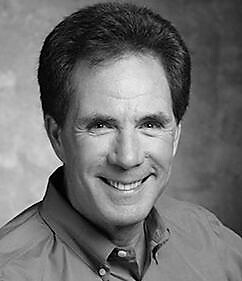 Darrell Waltrip, NASCAR Analyst. Former NASCAR Driver. Motivational Speaker. NASCAR Hall of Fame driver Darrell Waltrip, three-time MONSTER ENERGY NASCAR CUP SERIES champion and winner of 84 career Cup Series races, serves as analyst for FOX NASCAR in 2017 for the 17th consecutive season, pairing with Jeff Gordon to provide seven championships’ worth of insight. Alongside veteran race announcer Mike Joy, Waltrip has been an integral part of the FOX NASCAR broadcast team since the network’s coverage began in 2001. Waltrip completed his 29th and final NASCAR season as a driver in 2000. He was inducted into the third class of the NASCAR Hall of Fame in January 2012. The three-time champion (1981, 1982 and 1985) twice nabbed the Most Popular Driver Award (1989-‘90) and was the recipient of the prestigious Bill France Award of Excellence in 2000 for his lifetime of achievements. In 2003, Waltrip was elected to the National Motorsports Hall of Fame, an honor followed by an induction into the International Motorsports Hall of Fame in 2005. Waltrip’s 84 career wins in NASCAR’s premier series tie him with Bobby Allison for fourth all-time. He also ranks fifth on the all-time Cup Series pole positions list with 59. He is the only five-time winner of the Coca-Cola 600 (1978-‘79, 1985, 1988-‘89), and was the inaugural winner ofthe NASCAR ALL-STAR RACE (then The Winston) at Charlotte Motor Speedway in 1985. Waltrip’s first NASCAR series start came in the 1972 Winston 500, and his first win just three years later in his 50th start. In 1981, Waltrip won a modern-era record eight races from the pole and tied the all-time record of four straight. Waltrip was named the National Motorsports Press Association Driver of the Year in 1977 and 1981-‘82; Auto Racing Digest Driver of the Year in 1981-‘82 and Tennessee Professional Athlete of the Year in 1979. His most memorable race was the 1989 Daytona 500 — his only win in the “Great American Race.” In 2004, Waltrip’s autobiography, “DW: A Lifetime Going Around in Circles,” debuted on the New York Times Best Seller List. His third book, “Sundays Will Never Be the Same,” was published in 2012 and focuses on his career as both a driver and broadcaster. On the big screen, Waltrip was the voice of “Darrell Cartrip” in the hit Pixar movies, Cars, Cars 2 and 2017’s Cars 3, and played himself in the Will Ferrell comedy hit, Talladega Nights. He also will make a cameo in the upcoming Lucky Logan, set for release in 2017. Born Feb. 5, 1947, Darrell Waltrip resides near Nashville, Tenn., with his wife, Stevie, and the couple has two daughters.